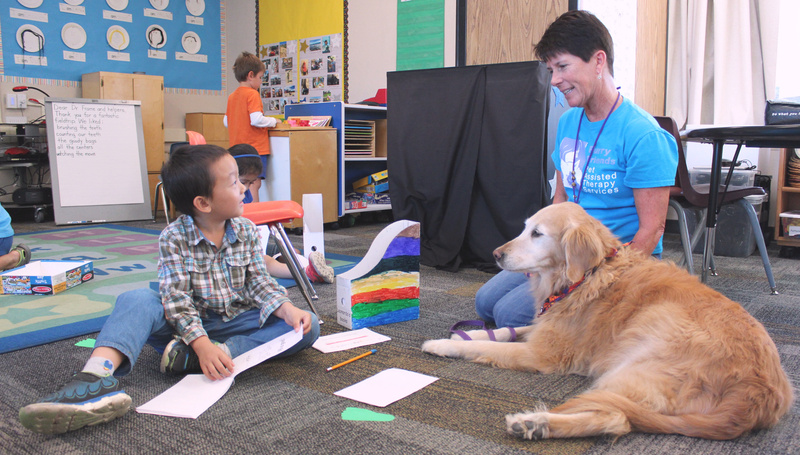 On Oct. 12, students in Cindy Voreyer’s class at Washington Open Elementary School met their monthly canine visitors from Furry Friends Pet Assisted Therapy Services. 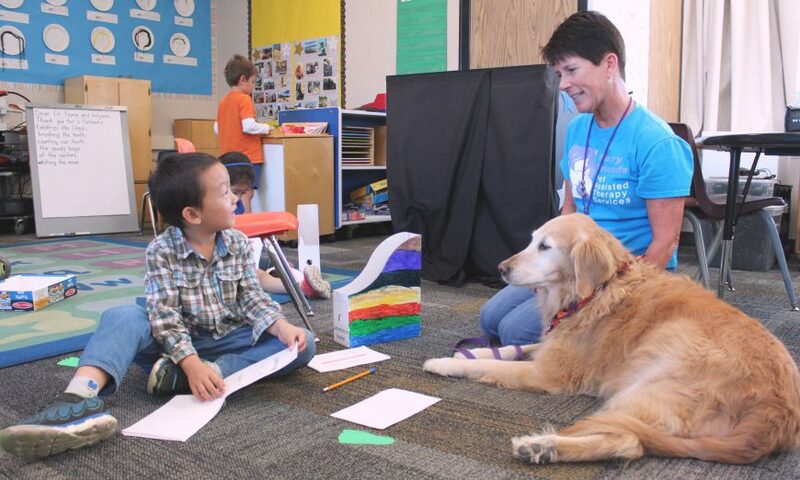 Four dogs — Hope, Millie, Penny and Jack — came to the kindergarten classroom. For about an hour, the students gently petted the dogs, read aloud to them from their handmade books and mingled with the dog owners. One of the dog owners was Julie Smiley, volunteer team captain with Furry Friends and Santa Clara resident. Smiley has been volunteering for 10 years with Furry Friends. Hope, Smiley’s 11-year-old dog, is an Anatolian Shepherd Shar Pei Mix who seemed to grin when interacting with the children. Smiley described the bonds that form between the children and dogs as joyful and magical experiences. 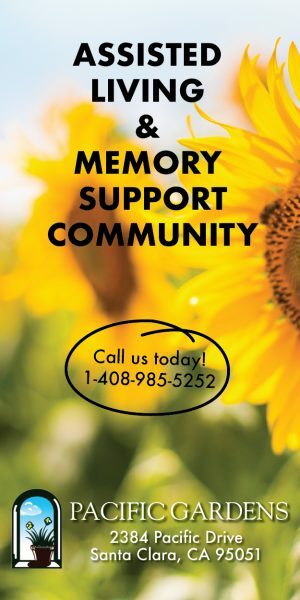 The website of Furry Friends states: “The Furry Friends mission is to consistently facilitate delivery of the love and affection of our volunteers and their pets.” Furry Friends, a 501(c)(3) non-profit organization, provides visits to a number of sites, including hospitals, nursing homes, youth facilities, schools and libraries. Visit www.furryfriends.org to learn about the other animals that members of this organization can bring for visits, the benefits of pet therapy, how to become a volunteer and how to become a visit site.